Versatile: Container gardens allow you to grow on a balcony, patio, courtyard, indoors on windowsills or rooms with adequate light, the deck of a boat, rooftop or caravan annexe. More variety: You can grow plants that may not be suitable to grow in your garden soil and grow plants next to each other even though they may have different soil needs. Accessibility: Growing plants in containers makes gardening accessible to almost anyone including children, those with limited mobility and the elderly. No weeding: Due to the small surface area, it’s unlikely weed seeds will find their way into pots. 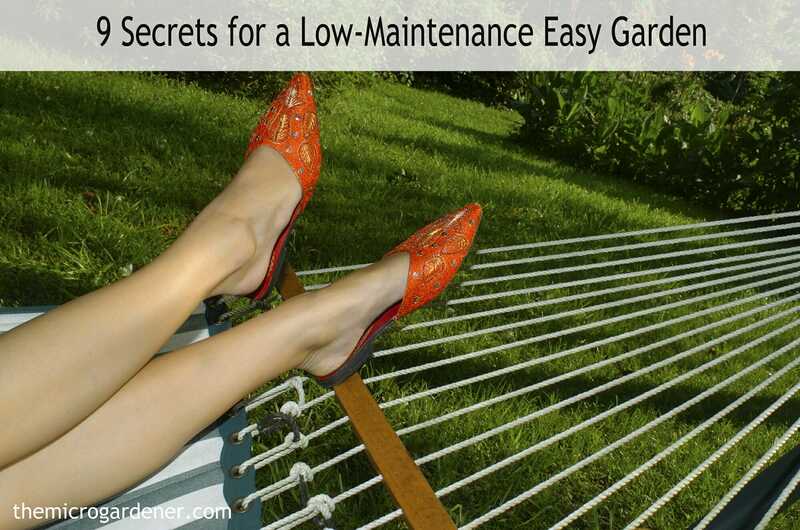 No heavy garden tools and equipment: Saves your back and money with less maintenance. Mobility: Plants in pots can easily be moved to suit your needs or to a more suitable sunny or shady location during the day. Change your look: Easily vary your colour scheme. 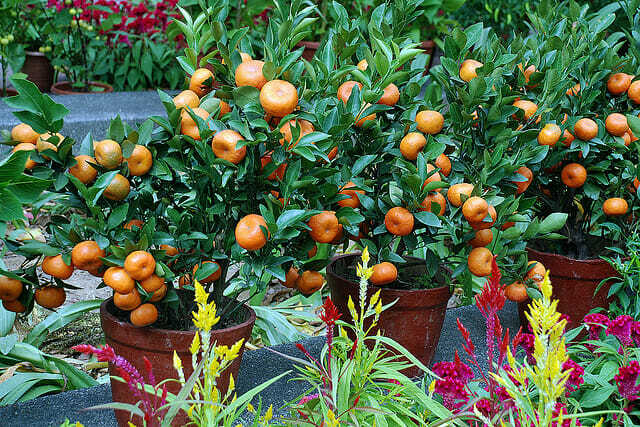 As each plant finishes flowering or fruiting, it can be replaced with another. Flexibility: Rearrange plants to suit the season or your personal taste. 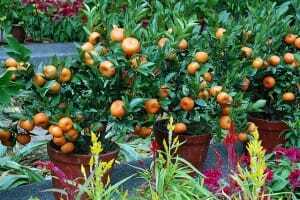 Control space invaders: Vigorous growers like mints and bamboo that are too invasive if let loose in the garden do well in containers, but will take over an in-ground garden. Portable Meals on Wheels: Suitable for renters, edible gardens in pots can move house with you. 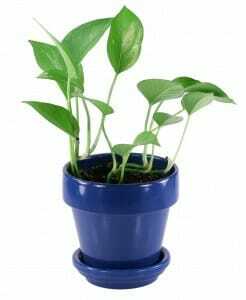 Less disease problems: Most of the time plants that are grown in containers have fewer problems with diseases than plants grown in the soil. Fewer pesky pests: Insects that move from plant to plant in the garden are less likely to discover plants on a balcony, verandah or deck. Even if a problem is detected, you can isolate affected plants by relocating the pot until the problem is under control. Fertilising is easier: Keeping your plants well-fed is much easier when they are confined to a small area. Not as much nutrient tends to be lost or absorbed by neighbouring plants like when they are grown directly in garden beds. Time and labour saving: Less time is spent weeding, walking and watering when plants are grouped all in one place. No pesky neighbours: Less competition with wildlife and thieving from hungry animals and birds. 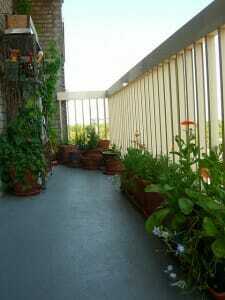 Close to the kitchen: Convenience of only reaching out or taking a few steps to fresh home grown herbs and veggies. Street Appeal: Well-designed container plants placed strategically at a home’s entrance can add value and make the home more welcoming. 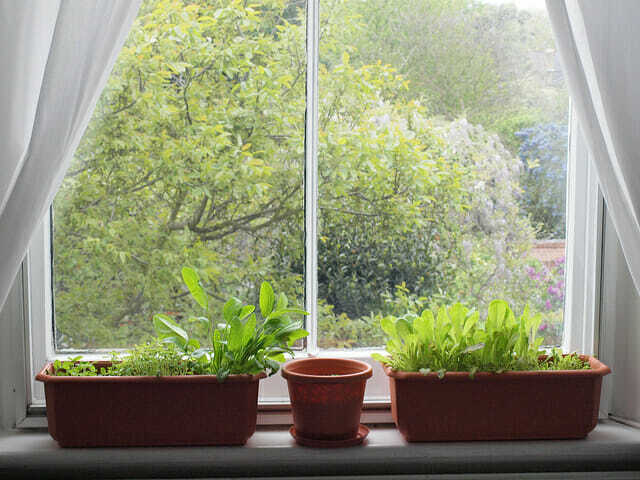 Indoor gardens: Improve indoor air quality, health and well-being with colour, fragrance, food and ornamental plants. House or indoor plants do more than make us feel good – they clean our indoor air dramatically! 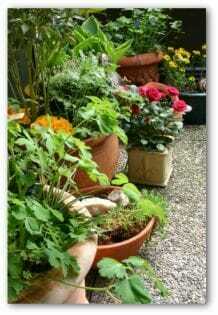 Design Accents: Decorative pots and urns can act as focal points or statements in the home or garden. Highly productive incredible edibles: A wide variety of seasonal food crops can be grown successfully in containers including long lasting fruit trees. Extended harvest time: Soil in pots often warms up faster than soil in the ground so an earlier harvest of some vegetable crops is possible. 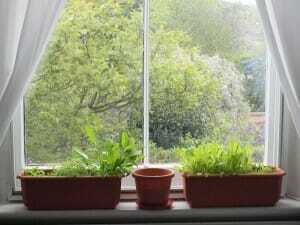 Reduce food miles: Growing even a few fresh herbs or salad vegetables in pots means less trips in the car or public transport to the shops or markets and saves money too. Greater control: With less to look after, it’s easier to control the impact of weather, the micro climate, sun and shade. High rise green space: Enables gardens to be grown on all floors of apartment blocks and high-rise buildings. And of course they can reflect your personality, tastes and favourite colours! 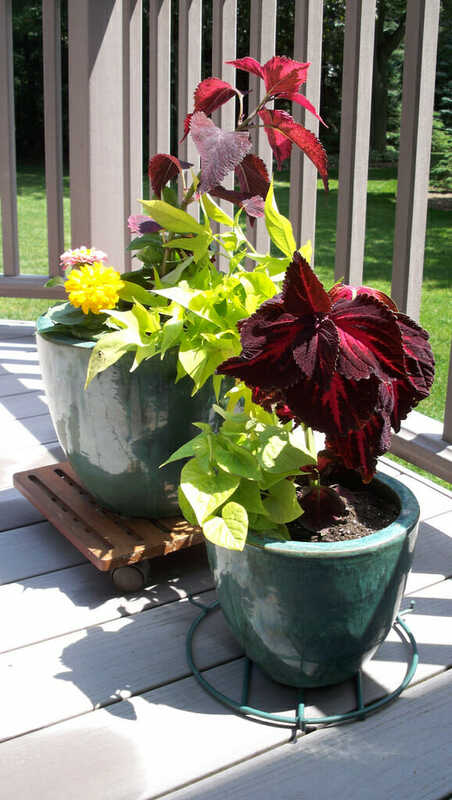 For inspiration on creative containers, visit the Container Ideas category, or learn more about Container Gardening and Repurposed Containers you can use for little or no cost. 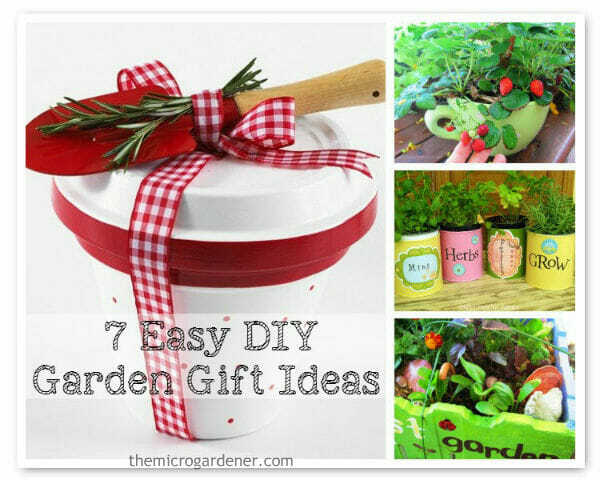 Really I’ve no idea about the advantages of container garden, after reading your post I’ve learned a lot. Please never mind, I’ve noted some important information from your post. You have the great writing ability. Please, continue your writing in the future! Thanks for your great efforts! Hi Anne! So glad to have found your site! 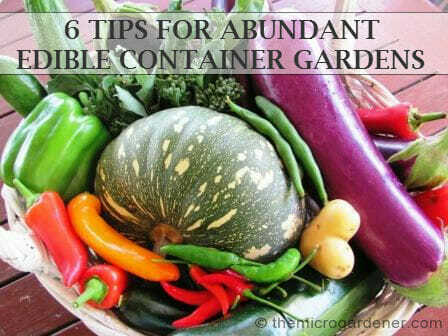 I’m posting a link to your website onto a Facebook group I started a few years ago “Container Gardening for Healthier Eating”. I started the group to gather together like minded people who wanted to provide healthy good for themselves – regardless of their location. I had just come out of a health issue that responded well to the improved choices we were making nutritionally and knew that there were many who were in the same situation as I had found myself. Your articles speak to my heart and encourage me. Thank you so much! So glad to make the connection and I’ve just visited your FB page and joined your group. Due to our modern-day busy, stressed lifestyles and the sick food system that most people eat from, more and more people are getting sick. I’ve been on a long health and discovery journey, and learned so much – good and bad! I continue to research and learn more all the time about ways we can grow our health in our own backyards. Corporate greed is at the heart of so much of the dangerous, nutrient-deficient and harmful foods marketed in regular supermarkets and grown with chemical agriculture methods. I practice biological urban farming and try to share ways to become more empowered growing your own nutrient-dense produce at home. I believe so many people can experience much greater health and wellbeing by making some simple changes. Look forward to staying in touch Carla and thanks for the share on your page. Hola! I’ve been following your web site for some time now and finally got the courage to go ahead and give you a shout out from Huffman Texas! Just wanted to mention keep up the excellent job!